Effects specialist and Autodesk Master Allan McKay has created a brand new training DVD for users interested in coming up to speed with the powerful Autodesk Certified Animation plug-in FumeFX. 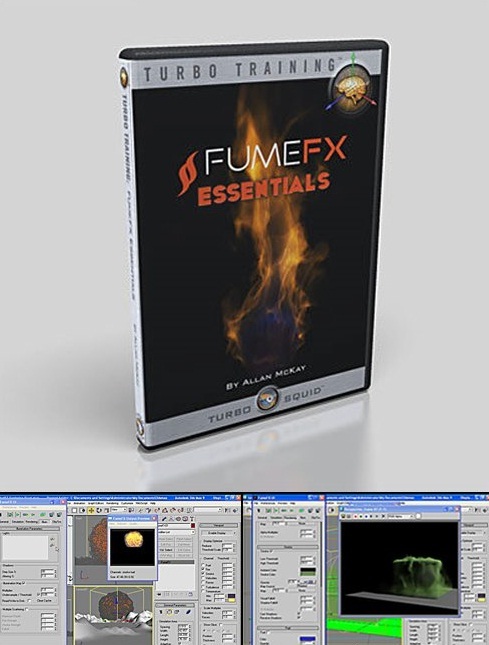 This DVD demystifies the various controls for making believable FumeFX simulations. You'll be amazed at what the FumeFX engine is capable of, creating everything from animated burning paper and huge fiery explosions to bubbling caudrons and dirt/dust effects. 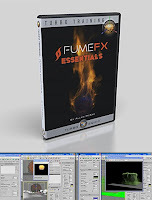 This 3.5 hour training course is perfect for new users who want to get up speed quickly with the sophisticated FumeFX plug-in, as well as for intermediate users who want to tweak their effects for astonishing results. Sample files are included so you can dissect or modify them later to achieve an even deeper understanding of this plug-in technology. Be aware that this DVD has been created at a resolution of 1024x768 and will only run from a DVD Drive connected to your PC.